“Statins cut the risk of dying from heart disease by 28% among men, according to the longest study of its kind,” The Guardian reports. 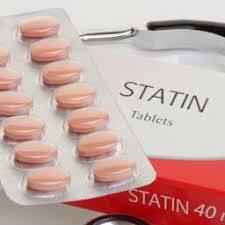 Statins help reduce the level of low-density lipoprotein (LDL), or “bad cholesterol”, in the blood. This in turn helps reduce the risk of cardiovascular disease (CVD). Current UK guidelines recommend that people with a 1 in 10 chance of developing CVD at some point in the next 10 years should be offered statins. The results of this new analysis led the researchers to conclude that more people with high cholesterol should be offered statins. Researchers looked at data for a sub-group of men who had high cholesterol, but no signs of heart or circulation problems, at the start of the study. They analysed the effects of taking statins or a placebo during the five-year trial and after a 20-year follow-up period. People took statins or not as recommended by their doctor during the follow-up period. The researchers say men who took statins during the trial period were about 25% less likely to get heart disease or have a major event like a heart attack or stroke during the trial, and in the 20 years afterwards. The study provides evidence to back current recommendations that people at risk of heart disease benefit from taking statins. But it doesn’t provide evidence that younger people should take them (as some papers reported) as everyone in the study was over the age of 45. The researchers were based at Imperial College London, the University of Glasgow, Università degli Studi di Milano, the University of Western Australia, and the Academic Medical Centre Amsterdam. The study was published in the peer-reviewed journal Circulation. It was funded by Sanofi, a statin manufacturer. It was based on an original study funded by statin manufacturers Bristol-Myers Squibb and Sankyo. Several of the researchers reported receiving fees from multiple drug manufacturers. The UK media seems to have missed the point that this isn’t a new study, but a new analysis of a landmark study that took place mainly in the 1990s. Several reports refer to it as a “major new study”, and the Mail Online says people were randomised to take either a statin or placebo for 20 years – even though the randomisation period lasted only five years. Most news stories say the study means young people should be taking statins, which seems to be based on comments from one of the researchers, who also seems to have said that women would benefit as well, even though no women took part in the trial. This was a post-hoc (after the event) analysis of results from a previously published randomised control trial with a 20-year observational follow-up period. The main results from the study have already been published. Post-hoc analysis is less reliable than initial analysis because researchers already know the main results – this means they can be accused of “cherry-picking” results to prove the point they wish to make. In this case, they wanted to see the effects of statins on people who had high cholesterol, but no heart or circulation disease, at the start of the study. The original study – known as the West of Scotland Coronary Prevention Study (WOSCOPS) – was an early statin trial. WOSCOPS recruited 6,595 men aged 45 to 64 with LDL cholesterol levels over 155mg/decilitre, and randomly assigned them to take pravastatin (a relatively weak statin) or placebo. The trial ran from 1989 to 1995. After it finished, the men were followed up for another 20 years, during which time they and their doctors decided whether they wanted to take statins or not. Results for the original trial and follow-up period have been published already. This new analysis looked at one sub-group – 5,529 men with no evidence of cardiovascular disease at the start of the study. Researchers looked separately at results for those with LDL cholesterol above or below 190mg/decilitre. They recorded the men who’d either developed coronary heart disease (non-fatal heart attack plus death from coronary heart disease) or had a major cardiovascular event (death from cardiovascular disease, non-fatal heart attack, or non-fatal stroke) during the trial or at the 20-year follow up. Results for men with and without cholesterol over 190mg/decilitre had very similar results. Again, results were similar between those with higher and lower cholesterol levels. In the paper, the researchers concluded their analysis “provides for the first time evidence for the benefits of LDL-C lowering for the primary prevention of [coronary heart disease]in individuals with primary elevations of LDL-C ≥190 mg/dL”, and that this “may help reinforce current recommendations for this group of patients”. But they seem to have gone further in their comments to reporters. Lead researcher Professor Kausik Ray told The Daily Telegraph that millions of people in their 20s and 30s could benefit from taking statins. This new analysis found that men without cardiovascular disease who were prescribed a statin were less likely to go on to develop heart disease or have a major cardiovascular event. These findings from the five-year randomised controlled trial are useful – there’s been a lot of debate about whether giving statins to people without any cardiovascular disease is helpful. But it’s harder to draw conclusions from the longer term results, as these were from a non-randomised observational period. Potential confounding factors – such as the men’s attitude to medicine, risk and health – may have influenced the results. A post-hoc analysis is less reliable than a primary analysis because researchers are better able to cherry-pick the results they want. The original study was carried out more than 20 years ago. Statins used today are usually stronger than those in the WOSCOPS study, and people’s lifestyles nowadays are different. For example, more than 40% of men in the study smoked – this is much higher than today’s smoking levels. The results may not be applicable to people today. The researchers found little difference between outcomes for men with higher or lower cholesterol levels. That makes it hard to back up their conclusions that cholesterol is the most important factor and people with raised cholesterol are most in need of treatment, regardless of other factors like age. Guidelines from the National Institute for Health and Care Excellence (NICE) in the UK recommend that people are offered statin treatment if their risk of a cardiovascular event, such as a heart attack or stroke, is at least 10% over 10 years. People in this category should discuss the options with their GP. NICE has a decision aid to help people make up their minds. Read more advice about treating high cholesterol. Next Article Could a Mediterranean diet be as good as drugs for acid reflux?